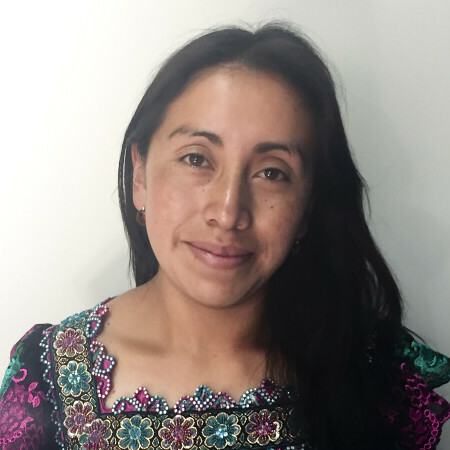 Any Xicay, Rise Program facilitator for the communities of Cerritos and Chimazat, shares how her work changes both her students’ lives and her own. When you and your club support the GLP, you are making great things happen! 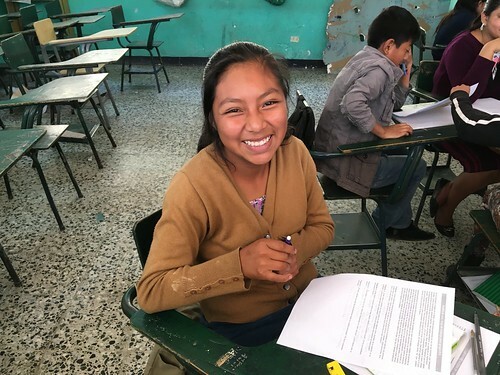 Check out this letter from Any Xicay, who writes about the life-changing results of the GLP’s Rise Youth Development Program. 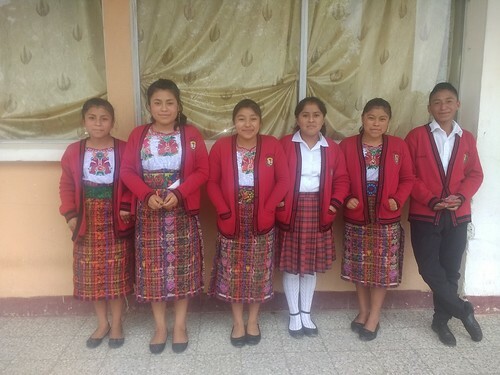 Any, who works for the GLP’s partner organization, Cooperative for Education (CoEd), is a Local Facilitator for the Rise Program in the highland communities of Cerritos Asunción and Chimazat, which some of you have visited on our Project Tours. My name is Any Xicay, and I am the Rise Program facilitator for the communities of Cerritos and Chimazat. I currently work with 111 students in those communities. My work is something that makes me passionate, that I love, and that fosters my own growth as a human being. accompaniment plans for students who have family problems (like alcoholic parents or the absence of one or both parents because of death or abandonment or some type of trauma). Each of these tasks is important and relevant and has a great impact on the life of our students. 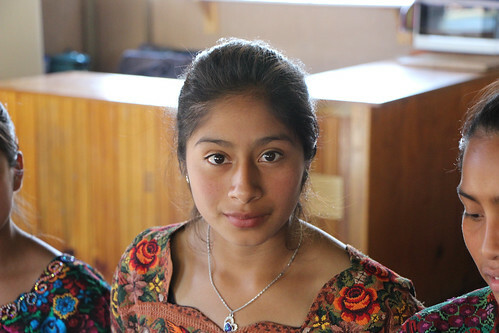 As a facilitator for the Rise Program, Any carries out a host of activities to help students like Blanca (above) succeed in school and transform themselves into the people they want to be. In the Cerritos 8th grade class there are 15 students. They are a very active and dynamic group, and one thing that characterizes them is the level of maturity and responsibility that they took on this school year. I am sure that the changes they exhibit—the self-confidence to be active participants in life and to persevere in their studies—are the fruits of the youth development workshops, where we all take on responsibility for creating a secure environment, a space where they can be sure that their opinions will be heard, so that afterwards they can carry this self-confidence into their classrooms and the places where they develop. Through the Rise Program’s youth development workshops, students gain the self-confidence to be active participants in life and to persevere in their studies. The students above led the year-long service project conducted by the middle schoolers in their community of Cerritos this year. In this class of middle schoolers, I have one student whose story has moved me. She was often behind in her homework and in her semester grades, so I made home visits, and in those visits, I identified that her struggle was more than a cognitive difficulty. She and her mother told me that when she was a girl, she had an accident in which she hurt her head and was unconscious for several minutes. Because of the context of poverty that they live in, her mother could not take her to the doctor to stitch up the wound or receive any painkillers. So she lived with the pain until the wound healed by itself. But as time passed, she began to suffer long-term consequences of the injury: strong headaches, memory loss, and fainting. Once again, because of their context of poverty, they haven’t treated her. But luckily we are able to support her by referring her to a doctor who can treat her affordably, examine her, and give her a clear diagnosis. For us as an organization and for me as a facilitator, academics are important, but it is also important to understand and support her in her social context, familial context, and health. We are very conscious that a fundamental factor in academic performance is the whole environment that surrounds it. I am so grateful. Without a doubt, you play a great role in these stories because you believe in our children and youth. Believe me, seeing the smiles of satisfaction on our students’ faces at having the opportunity to change their future is unlike anything else. I thank you on my own behalf as well, because you have allowed me to grow as a woman, a mother, and a professional. and Rotary don’t just change the lives of students, but also the lives of all who collaborate in this great work of breaking the cycle of poverty. Thank you, because with your help, we are changing stories.